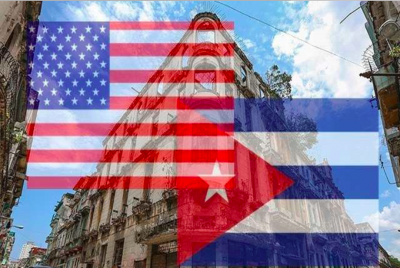 Despite the re-establishment of diplomatic relations between Washington and Havana, the U.S. blockade remains present. Cuba presented a report on Friday that claims the U.S. blockade on the island nation has cost it US$4.7 billion over the last year and US$753.7 billion over the last six decades. 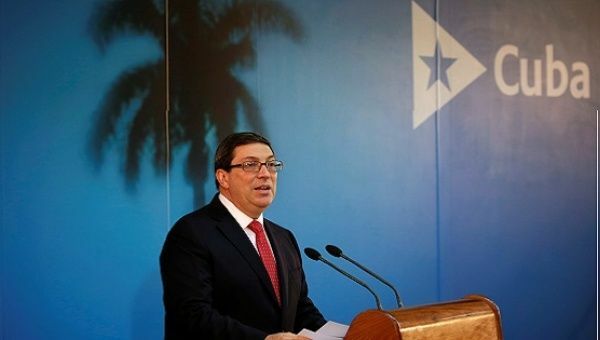 To change Cuba is up to Cubans,” said Foreign Minister Bruno Rodriguez as he read the report on U.N. General Assembly Resolution 70-5 entitled “Necessity to End the Economic, Commercial and Financial Blockade Imposed by the United States. Rodriguez highlighted the fact that despite the re-establishment of diplomatic relations between Washington and Havana, the U.S. blockade remains present in all areas supported with “absurd legislation” like the Trading with the Enemy Act. “If the ban on trade continues, it will be very hard to make things visible, the investment of U.S. companies remains prohibited, imports and exports are prohibited … a Cuban bank is prohibited from opening an account in a U.S. bank and that makes economic relations difficult,” Rodriguez said. Regarding the relations between the island and Washington the diplomat said that it is always good to look ahead, “but you can not forget history and Cuba’s independence will never be negotiated,” he said. Last year the U.N. General Assembly voted 191-2 to condemn the U.S. blockade of Cuba, with only the U.S. and Israel opposed. However, there has been no change and Washington maintains its economic blockade on the island. Washington imposed the blockade in 1960, after the victory of the Cuban Revolution led by Fidel Castro, which overthrew the regime of Fulgencio Batista, a U.S.-backed dictator.